Chevron arrows down either sleeve and unique neckline. Classic Jersey modified for a modern look. 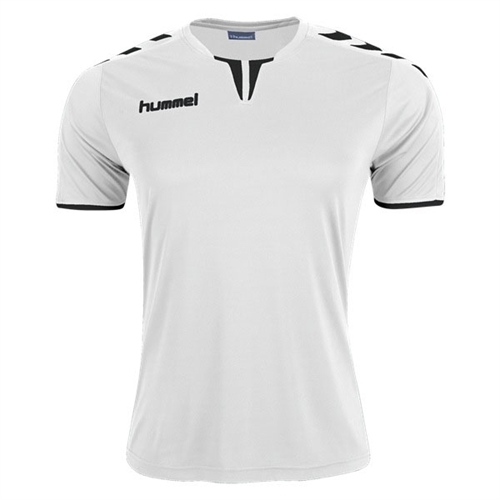 Our Hummel Core Jersey is a new take on a classic soccer jersey. Newly integrated with an engineered fabric to give the jersey a fresh new look with arrow going down the sleeves for a stylish design. NOTE: Hummel Jersey Runs A Size Larger than Nike and adidas Uniform.